Sam’s Club Membership Deal: almost $100 in FREEBIES! If you missed the last Sam’s Club membership deal that I shared, here’s another one for you that’s just as good! 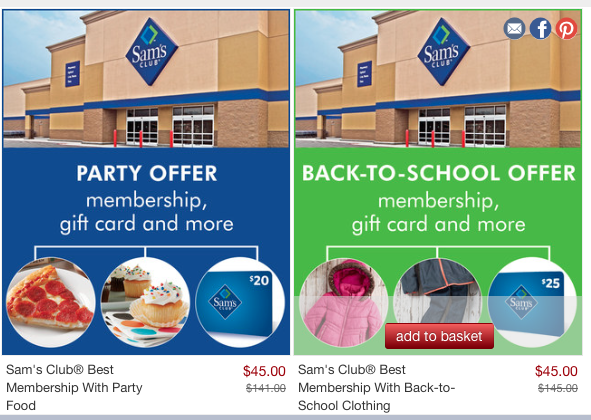 You’ll spend $45 and get a Sam’s Club PLUS membership (which is normally $100) plus a TON of freebies! 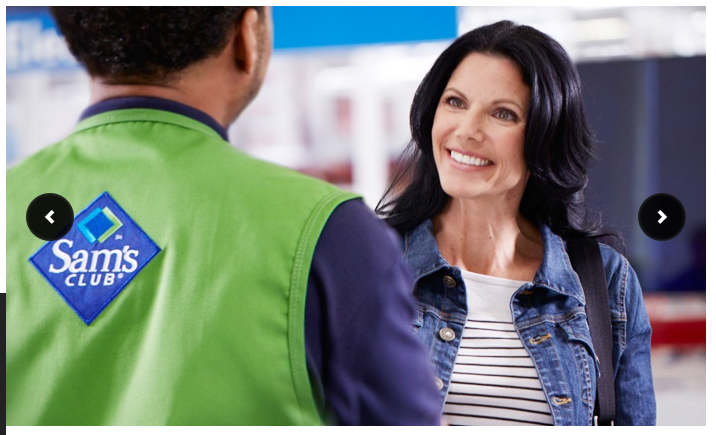 With a Sam’s Club PLUS membership you’ll earn cash back on purchases, get bonus shopping hours (including for Black Friday), and more benefits! With this promotion, you can choose between TWO different membership packages! Your promotional voucher will be available for redemption in store 48 hours after your purchase. I took advantage of a similar Zulily promotion last year to get a membership and I loved having all of the freebies! This is my first time having a Sam’s Plus membership, and I love being able to take advantage of the early shopping hours! With just the gift card, it’s like you’re paying $25 for a $100 membership! American Girl Dolls 30% off on Zulily!! This post contains affiliate links and I will be compensated if you make a purchase using the links in this post. Refer to my disclosure policy for more information. Zulily is having a sale on American Girl Dolls and accessories! You can save more than 30% off regular retail prices! 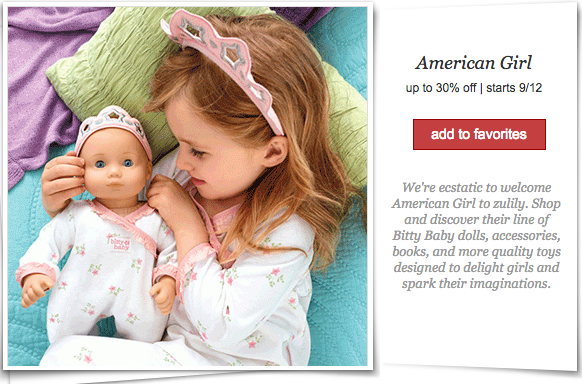 American Girl items almost NEVER go on sale, so take advantage of this one while you can! The American Girl Doll sets which include a complete extra outfit are just $99.99 (regularly $153)! They’ve got outfits and accessories, too! The sale runs through 5/21/15, but items won’t last long, so shop early for the best deals! Don’t forget to tell your friends, too! American Girl Dolls on sale for $99.99! You can score an AWESOME deal on American Girl Dolls today! You can get an American Girl Doll PLUS outfit for just $99.99! 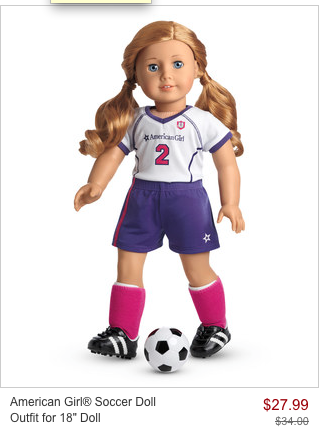 If you’ve missed the other American Girl deals this week, you’ll want to grab this one! These sets are $129 on the American Girl site! 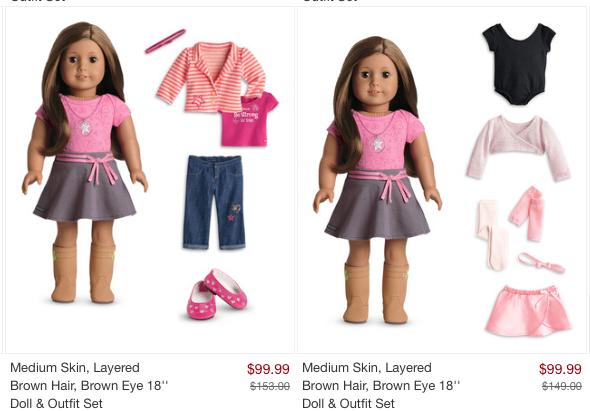 American Girl items RARELY go on sale, so grab this deal while you can! Dollie & Me American Girl Style Outfits and Accessories Sale! If your daughter has an American Girl doll, make sure you check out this Dollie & Me sale on Zulily! Save up to 60% off matching girl and doll outfits and accessories! Choose from 2-piece outfits, party dresses, PJs, and more! They’ve got Christmas PJs, holiday dresses and outfits, and more!! There is lots of cute stuff to choose from! The best deals always sell out quickly when they have these sales, so shop early! Prices for these matching sets start at just $9.99! American Girl Bitty Baby Sale on Zulily! Zulily has a HOT American Girl Bitty Baby sale that starts THIS MORNING! Save up to 40% off regular retail prices!! Take advantage of these rare sale prices and start your Christmas shopping a little early! The sale starts at 6 am PT and runs through 9/15. Be prepared for the site to run slow if you are shopping when it first starts! Let me know what great deals you find!